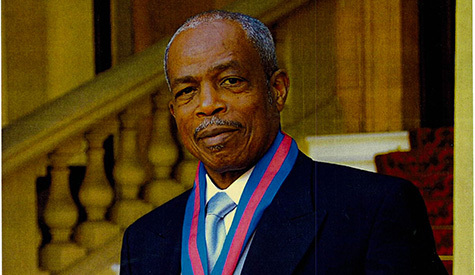 Basseterre, St. Kitts, September 11, 2015 (SKNIS): St. Kitts and Nevis will honour four of the prominent nation builders on September 16 with the traditional ceremonial event. At a press conference on Thursday (September 10), Prime Minister Dr. the Honourable Timothy Harris noted that Independence, observed on September 19, is a time for reflection and highlighted the pioneering work of the national heroes, the late Excellencies Sir Robert Bradshaw, Sir C. A. Paul Southwell, Sir Joseph France and Sir Simeon Daniel. “National Heroes Day is September 16 … and on that day we will observe the usual celebratory activities,” the Prime Minister said. “This year we will pay homage to all our heroes at an appropriate ceremony in St. Pauls, the birthplace of our first National Hero Sir Robert Llewellyn Bradshaw. Dr. Harris also singled out the federation’s first Prime Minister, Dr. the Right Honourable Sir Kennedy Simmonds for his contributions to national development.